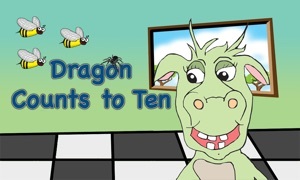 Children will love this delightful story about Dragon's adventures. 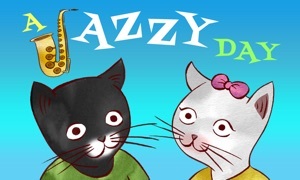 The text of the story has simple words and lots of repetition, making it perfect for beginning readers. 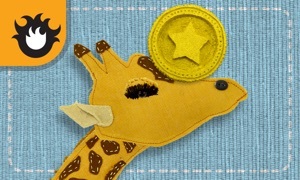 Colorful graphics and animation will capture your preschooler's attention. After a busy afternoon of running, skipping and flying in a flower-filled meadow, Dragon needs to find his way home. As he travels through the woods, he encounters his animal friends. He tries out each of their homes, but finds a reason why each home is not right. Record and playback buttons appear on each page of the story. Initially parents, teachers or grandparents may want to read and record the story for the child. Eventually the child will learn to read the story and will want to read it independently. 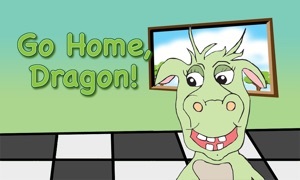 Preschoolers will relate to Dragon's playfulness and curiosity. Youngsters and adults alike will get a kick out of Dragon's humorous attempts to fit into each home he finds on his journey. Just when it seems Dragon will never find his home, he discovers Mom waiting for him in his own perfect cave home. At the end of the story three learning activities are provided to help with letter recognition and beginning reading.